Updated December 20, 2017 — Originally published March 20, 2012 — This is a frequent question we get at Topretirements: “Where in North or South Carolina is there a retirement community that has similar amenities as The Villages in Florida? I am not looking for size, I’m looking for the same quality of life that I have enjoyed for the last 5 years here in the Villages”. Here is our take on that question, concentrating on the Eastern U.S. (for the Western U.S. see “Does The Villages Have Any Alternatives“). For those not familiar with it, The Villages, located south of Ocala in Central Florida, is one of the largest active communities in the world with over 110,000 residents. 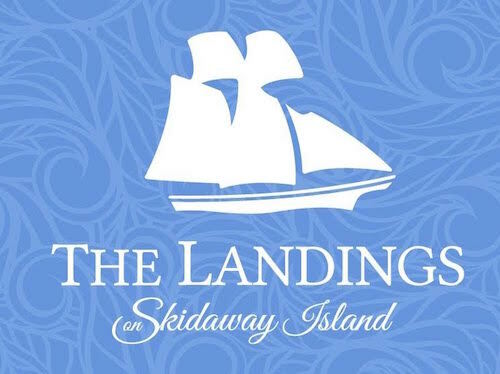 The Villages has 3 town squares (Spanish Springs, Lake Sumter Landing, and Brownwood) that provide shopping, restaurants, and open-air plazas featuring free nightly entertainment. There are 33 golf courses, 8 country clubs where residents automatically become members, along with a large number of separate family and adult recreational areas. The Polo Center and its Pavilion host international polo matches and events like BBQ competitions. There is virtually every kind of activity and athletic resource: archery, one finger painting, pickle ball, quilting, scrap booking, synchronized swimming, taichi, yoga, etc. There are hundreds of clubs for every interest, including one for just about every state in the country. The community is large enough that singles can feel at home here, since there are clubs and activities just for them. Although there are plenty of people who hate the idea of a community this large, there are many more who are attracted to the idea. See our recent article, “Why the Villages is the Best Place for Len and Ann” for more about living there. When looking for really big active communities, the list is pretty small. The Topretirements database only has 17 U.S. communities that claim to have more than 10,000 residents. But there are many smaller communities which can also boast an impressive variety of activities and potential lifestyles. When you drop to the next level, there are many more communities to choose from. Using our Advanced Search tool we found more than 450 communities in the Topretirements database with more than 1000 homes. Practically all of these communities offer a version of the varied active lifestyle found at The Villages. Maybe they don’t have as many golf courses, swimming pools, or clubs – but they still have a lot to offer! In our experience, few people in the largest communities tend to use or appreciate all of the opportunities in them anyway – instead they tend to socialize with their nearby neighbors and stick to the closest or their favorite recreational facilities. – Although not essential, a community that has restaurants, stores, and permits golf carts on internal roads. If you are not too hung up about size, there are dozens if not hundreds of communities that can offer an alternative active adult experience similar to The Villages. The key to finding them is to have an open mind, and to look for the common experience of a place that offers a stimulating mix of activities combined with a strong sense of community. The best way to find them is to look in our State Directories of Active Adult Communities and click on listings that look like they might be interesting. You can discover and read about ones that interest you with those tools. Then you can visit their websites, call for more information, and visit in person to do get a hands on feel for the possibilities. Ocala/Orlando area. On Top of the World. Not that far from The Villages, OTOW, has thousands of enthused residents (but less than 10,000 homes), plus some smaller communities that border on it. The list of amenities and clubs is just about endless, including a multi-acre airport for model airplanes. See “What Sandy Learned” for more. We are proud to have it as one of our Showcase communities. Another community in nearby Kissimee that might appeal to younger retirees is Solivita, which bills itself as “The Younger Next”. Here you can drive your golf cart to one of the championship golf courses, or burn off some of the calories from the community’s 3 restaurants at the 32,000 sq.ft. Riviera spa and fitness center. Tampa area. Sun City Center, located in Ruskin, is one of the handful of communities that have more than 10,000 homes. 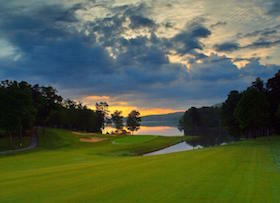 The amenities are extensive (8 golf course, over 250 clubs), and it is inexpensive. The rap on this Sun City is that, since it has been around a long time, the average age of its residents and its facilities is getting up there. So it might not appeal to some young retirees. Also in the Tampa area is Valencia Lakes, a newer community from GL Homes with plenty of active amenities, minus golf. Tellico Village. 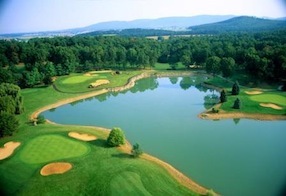 Near Loudon, Tennessee, this master-planned community on giant Tellico Lake has 6,750 enthusiastic residents, championship golf courses, and a yacht club. It is open to people of all ages. Century Village (Southern Florida). There are actually 4 Century Villages in Southern Florida; in Palm Beach, Deerfield Beach, Pembroke Pines, and Boca Raton (all east coast). In some ways CV has superior locations to TV, as they are much closer to beaches and bigger towns. They are also really big – over 500 clubs, 100,000 sq.ft. clubhouses, and every form of recreation you can think of. On the other hand we have heard complaints that the residents have a higher average age than most of the newer communities. Peachtree City. This master-planned community is 25 miles south of Atlanta, Georgia and is open to people of all ages (average age is 37.5, population over 35,000). It has achieved some level of fame for its extremely high golf cart population – like The Villages, customized golf carts seem to be the preferred method of transportation. There are swimming pools, athletic fields, 2,000 seat amphitheater, etc. Chapel Hill/Durham area. Depending on what you are looking for, you might enjoy either Fearrington Village or the Governor’s Club, among others. The former does not offer golf or quite as extensive recreational amenities some other large active communities do, but it does have a village center with a book store and 5 star restaurant, huge gym and pool, and extensive social schedule. Governor’s Club does have a great golf course, 10 neighborhoods. Like Fearrington, it attracts an upscale community of residents. Del Webb Carolina Preserve. Located in Cary, Carolina Preserve is typical of this national brand of active adult communities (also under Pulte and Sun City). These communities typically have full-time social directors and extensive amenities and clubs. They range in size from hundreds of units to thousands of units. St. James Plantation (Southport, NC). Here is another upscale community with very high end amenities and 4 country clubs to serve its 6,000 residents. The coastal experience here will be different from The Villages, but the feeling of living in a large community will be the same. There is a beach club, amphitheater, and marketplace. South Carolina. In the Hilton Head, Beaufort, Charleston, and Bluffton areas there is a wide selection of large, amenity-rich active adult communities. There is at least one Sun City, plus an amazing array of established communities, many of them located along the IntraCoastal, that offer tons of amenities including access to the water. Use this link to get to their listings. Williamsburg, Virginia. 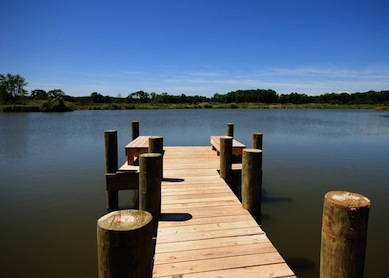 In several places in Virginia, but particularly near Williamsburg and Charlottesville, you will find many large communities with extensive amenities and strong community structure. Kingsmill on the James is one, Colonial Heritage is another. The communities listed above are just the tip of the iceberg when it comes to finding places that can offer a Villages type experience – albeit on a smaller scale. Our apologies to the many fine communities we don’t have room to mention. Don’t be a lemming: we urge you to use the resources on this site to find communities more that might match your needs – then go out and explore them online and in person. We reported on communities in the Western U.S. that are comparable to The Villages last year, see “Does The Villages Have Any Alternatives-Part I (West)”). Comments. We and the rest of your fellow members look forward to your comments and suggestions. What are some of the best active adult communities you have come across in your travels? What makes for an exciting, interesting community in your mind and experience? Please let us know in the Comments section below. Almost perfect.. Wish you had included lifelong learning opportunities instead of just clubs. I like the idea of all of the activities but we don’t care for the humidity….Any recommendations for retirement communities in ‘low-humidity’ areas in the west / southwest? Caution: Living in an active adult community can become dicey and pricey, especially if the HOA board becomes unwieldy and conforming to the will of the insider’s club or clique. I have a visited a many of the locations mentioned in this article. 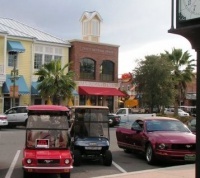 One of the attractions for me at the Villages was the ability to do about everything in a golf cart. In my last visit to Myrtle Beach I noted more golf carts being used. Can someone give me the names of active, adult communities where residents can move freely ‘off-campus’ in their golf carts for restaurants,etc? My husband and I moved this past June to Century Village Boca Raton. You are correct. The age is higher than average. We have had 6 deaths in our building since we moved here. However, the benefits outweigh the age differences since we love the amenities available that include buses to anywhere that we need to go for shopping or leisure within Palm Beach county included in a low maintenance and the only community in the area that has heated indoor (12 months) and outdoor pools (winter month). This is especially wonderful for my arthritis and exercise program. Everyone is very friendly and I have no problem with making friends with individuals who are older than myself. Additionally, the local university has adult enrichment which is certainly a possibility as well as community offerings in Boca Raton. You don’t need to stay inside a place and become insular. Would really like to find a community that includes fishing, boating, and possibly even hunting. As Ray stated earlier about the Villages the ability to travel in a golf cart. This can eliminate the need for a second car and most of the time are a fraction of the cost of a car. Not to mention that if you go with an electict cart you will eliminate the need to pay the prices at the gas pump. Dustin – ah, sounds ideal, doesn’t it. That’s when I start to ask questions. Is there an ENFORCED speed limit for these things? I see pics of modified carts; do the drivers handle them just like the 57 Chevies and Mustangs they make them look like. I could envision scores of aged men (and women) “racing” around the trails. Also, I’ve heard that visitors/prospective buyers are allowed to use carts, but their speed is governed. Residents’ carts are not, and they get “upset” by these “slow” carts. Are they also upset by people walking and biking on those trails … is it even allowed? I rememebr something on this site about another large retirement community south of Atlanta. They also have extensive trails for carts. Their site did show walkers on that trail. However, some online stated that they were annoyed that youngsters used the carts to race to school (think it was a mixed age community). If one is considering The Villages (or any such location), they should do an extended visit, and check out these trails (traffic – in variious seasons, ability to do other than use carts on them, width for passing on-ciming and same-direction traffic, etc.). As a lover of biking, I also worry about the growing market for eletcric bicycles … I was nearly run off a trail (into a canal) by teens riding in a large group on a trail while ignoring oncoming traffic … I can envision some teens having electrics that could go 20 – 40 mph on these trails … such fun! Finally, I am an advocate of electric vehicles; however, I do recognize that there is a lively debate re: the cost-benefit to the environment. A good site to see is green.autoblog.com . Are there any adult communities that you can drive a golf cart to at least a grocery store (not a 7-11 type) and some dining and shopping. Prefer warmer states. Above remarks, of course means, besides the Villages. Are there any other large communities , as Top of the World or The Villages in NC or SC? There are several quite large communities in the Carolinas, although maybe not as large as the 2 you mention. Look in the NC and SC Directories – e.g; http://www.topretirements.com/active_adult_communities/North%20Carolina.html to find them. In NC Look for the Del Webb’s, Fearrington Village is another that is quite different. In SC look for The Ponds, among others. Try looking out west if you want drier, warm, storm free options. Large community 5000 with everything for amenties right in an adult golf cart community. Thanks for showing this again. We made a big mistake moving to an expensive gated community in Tampa not over 55. We wanted to look in the Carolinas however I think the tax incentives will keep us somewhere in Florida, not the Villages. Perhaps the over 55 community mentioned in Boca. Great but are there any active adult communities with amenities for renters? It won’t be an enjoyable retirement if I have to continue to care for a house. Why limit yourself to a massive compound complete with golf courses and million dollar cub houses/recreation facilities. Most of this stuff after the first six months you won’t even think of using. Oh, I suppose its good to impress your friends back home that you’re living in a real dreamland with 24/7 stuff going on. Remember, you’re getting older, what are you going to be like in 5 years/10 years? Why not look at getting a place to live within a small city that has a senior center and a good sized parks and recreation department, a community theatre and several golf courses? Guarantee you’ll save big money and probably have a fresher and more active life. Join a service club or church to expand your friendship. In retirement areas many churches are like clubs and social organizations as well. Take a look at cities under 50,000. Explore their websites and look at their parks and recreation departments. Look at the public libraries in these cities most of them offer a ton of nonreading activities as well. Look at what the transportation options are. Does the airport nearby offer lots of flights to places you may want to go? Is there AMTRAK service to the community? How close are the cruise ports and beaches? We looked at The Villages and decided it wasn’t something for us. We found Winter Haven, Florida which has all the plusses we needed including a ton of places to eat. Its a city with 50 lakes within the city limits. Two and three bedroom condos with lake views for under $85,000.00 There is a vibrant downtown. Do look at the options available other than mega size compounds. You will be happier especially as you age. Just my thought. David Lane your thoughts are great. I have very rich friends and middle class friends and not even middle class friends. Our best friends got sick and last year moved to another state to live with their son. Another couple decided to go to Pa. where they are in an assisted living community except have a new 4,000 sq.ft. house where when the time comes will be completely taken care they are very wealthy, then I have friends that will never leave their NJ house because they have the money for help, it is all relative to your health and wealth. Downsizing for me is coming. Comparable properties were provided for the east coast but how about locations west of the Mississippi River – are there any that you can list? If you don’t mind sharing, why do you feel it was a mistake to move to a gated not over 55 community in Tampa. I think the concept of over 55 is great but I wonder who is going to buy all these 55+ places as the boomers let us say diminish in numbers. My thoughts are that when the time comes for you to sell, it will be easier. I meant does anyone know of entire active adult RENTAL communities? Overture has begun building apt communities for 55+, some of the communities are 62+. They are being built all across the US. RENTALS- I have the same question as Mary Brady, where can we find gated community rentals? Home Away, VRBO, Flip Key etc are not catered to 55+ communities….this is an opportunity to create a web site, as not everyone wishes to own a second property. Let’s see who can pick up the ball and throw it in the right direction ?. The New Year brings new creative ideas?. Mary, If you go to our Advanced Search https://www.topretirements.com/Browse.html and go to the bottom portion searching Communities you can select “Rentals” and find hundreds of rental communities. You can also select States or amenities, size, expense to narrow that down. Unfortunately if you select more than one attribute within a group (e.g. ; Gated and Rental), it currently returns either/or, not both attributes. So stick to one attribute within type. Hi Admin, I sent you an PM email that I had tried selecting only “Rentals” as suggested, but when I did it brought up single family homes and mobile home communities, but only the rare rental. Out of dozens of results there was maybe one rental, the rest were single family homes to buy or mobile home communities. I did this search on Arizona. Carole, My husband and I are renting in a gated 55+ community. I found it by just searching rentals on trulia.om, homes.com and other real estate websites. from those, I found the realtors who listed places and looked t their web sites. this was the only 55+ place listed but local realtors my know of others. most require a full year lease since they do not want transients. I have lived in south florida since 1974 and I know all about the Kingspoint and Century Villages and over 55 communities. Most of them are very old and run down. Nothing attractive about the places with high maintenances. Yes you can getg a condo for 85,000 but you will be paying $400 a month maintenance because the places are so old. It has gotten to the point where no one speaks English anymore in South Florida. If you don’t know Spanish you can’t find a job, and if you are over 55 they put you out to pasture in the job market. I have been to the villages 4 times. People are incredibly friendly there is a ton of things to do. I am sure that after awhile the novelty wears off and then you are living in Central Florida but in all the times I have been there and I have asked a ton of people not one said they didn’t love it there. It truly is Florida’s friendliest hometown. I think if you can’t be happy there then there is no place you will be happy. I will say they have a monopoly on everything the sales office the lenders etc are all part of the villages. When you are talking about the Villages is a good place to be in Southern Florida. Can you tell me what city or cities the Villages are? Nina, the condo fees in the Northeast are much higher than 400 per month and when you add income and real estate taxes, Florida still sounds like a bargain! The same situation exists in New England, and almost everywhere, about needing to speak Spanish to get a job! That even goes for professional jobs now. The age discrimination exists everywhere also. So, Florida is still a real bargain for most retirees. After this horrible winter in New England, a lot of us are considering Florida now! Nice post for those looking for the retirement plan & well explained. On our way to Sarasota for Christmas we stopped at Lakewood Ranch as recommended by a friend. I wasn’t sure if it was a town or a master-planned community. Turns out it is both and nicely done. Lakewood Ranch has a town center but is made up of about 14 separate communities spread out over 48 square miles. It also has farmland, golf courses and medical facilities. We didn’t have time to look at all of the communities although the visitor center was a great help in describing what the separate communities offer. Does anyone have any recommendations on a community here ? We saw there was a Del Webb for 55+, but we want an all ages community and there are many of them. 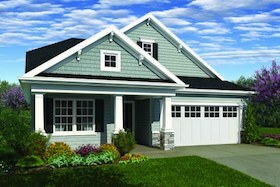 Jemmie, check out the new Waterside community within Lakewood Ranch (LWR) .at http://lwrwaterside.com/. Also check out buysarasota.com to see the resales available within LWR..My wife and I plan to visit this summer and LWR and the villages will be first and second on our visit. Ed, thank you so much for the link to Waterside. We did visit and although I am sure it will be a vibrant and beautiful asset to Lakewood Ranch, I am not patient enough to wait. Right now it is an area with lots of homesites for sale and a lot of building going on. Your other suggestion of buysarasota.com was great and provided us with many homes to look at -we went to open houses of established communities and pre-owned homes on Sunday-Lakewood Ranch Visitor Center gave us passes to visit since most of the communities are gated and we couldn’t get in by ourselves with no realtor. Good luck on your own search this summer. We found comparing The Villages and Lakewood Ranch were apples to oranges-will be interested to hear your thoughts.